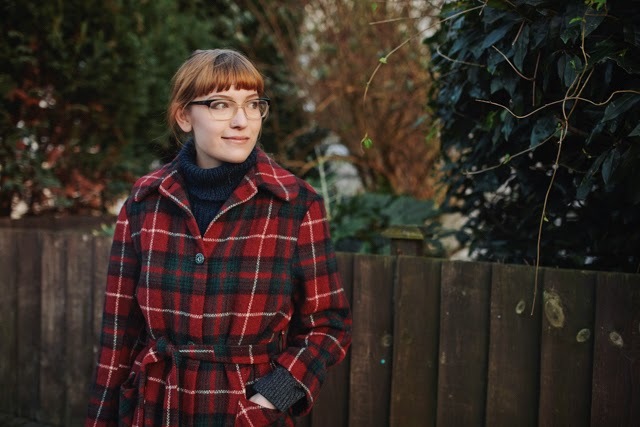 A few months ago Harriet and I went for a look around charity shops in Crouch End, which is a great area of London to spend a Sunday afternoon by the way, and I found this amazing tartan coat for just £8! I actually bought it thinking it would work really well in a shoot I had planned, but I quite like it for myself too so I'm keeping it! 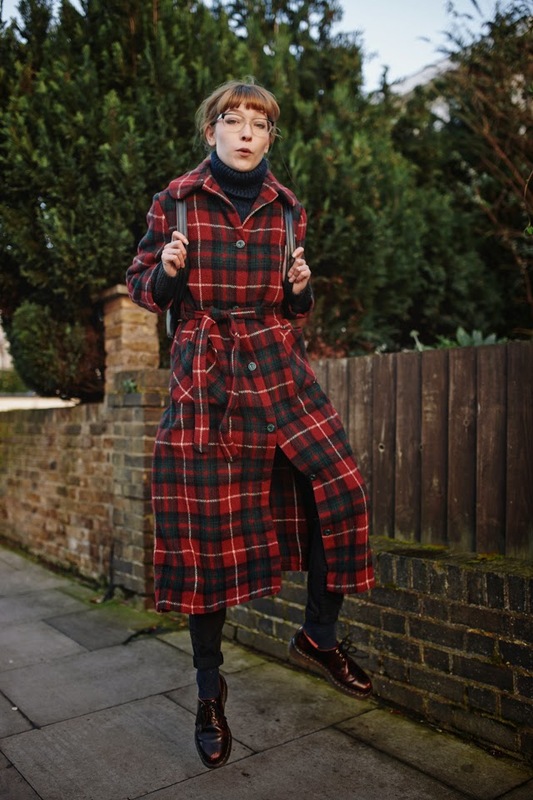 Also If you haven't seen already, I've had some styling work published on HUF Magazine, you can see it here, I used lingerie from Miss Crofton and vintage clothing from Beyond Retro. Let me know what you think! That looks so cosy, I love it! Cute backpack too, I had no idea they did accessories!! 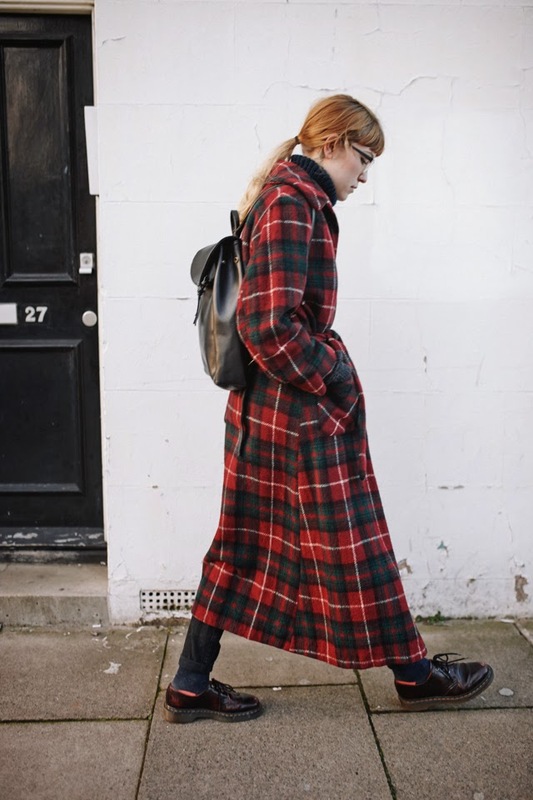 I've been longing for an ankle length coat for ages and this has given me serious coat envy - I love the tartan print and the photos are amazing as always! i love your post,and thanks for your sharing.